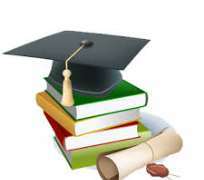 Education is the second best gift God benevolently gave to mankind after the gift of life. I would like to remind everyone not to forget in a hurry that Education is in two phases: formal and informal; they are all equally important. The impact of your formal educational knowledge to the society is a function of your informal educational knowledge endowed in you. Formal education helps us explore other world and makes it easier to empathize with others - or see things from their perspective. Not appreciating others’ challenges makes it more likely that we will cause harm with our words or thoughts or actions. Ethical values are all about helping others instead of harming or neglecting them. Formal education must not be divorced from religion and morals because that was the foundation on which Education of yesteryears was rooted. The tendency for Nigerians, and indeed other African nations, to jettison African modal values in the unmitigated effort to copy the Western World would do Africa no good. ‘The God factor' must not be taken away from Education . We must go back to the godly heritage of the old school. We must not allow secular philosophy to take away the God factor, otherwise the society would continue to grapple with social and moral problems. Even Science and Religion were not incompatible as some people erroneously think. Early Scientists like Albert Einstein, were top notch Christians, but it did not stop their activities in the field of Science and invention. Education without sound morals and character does not produce balanced people. As we keen to be lettered beyond our present intelligence, let us integrate out intellectuality with morals, norms and even religion to affect this great continent positively. Let us take our youngies through informal education as we ensure they are lettered. The effect of good formal education without good morals leads to terrorism, we must take this into consideration. Whether it is alcohol abuse or snobbish entitlement or academic incuriosity or lack of personal integrity, many of the problems displayed by college students are steeped in moral bankruptcy. Hence, it behooves us to develop well-rounded students who can achieve their goals, and well-rounded students need a well-rounded education.